The grand terra-cotta ceilings and gold ornamentation that covers the interior of the Fox Theater in downtown Oakland made for an impressive backdrop to Friday night’s Geographer show. 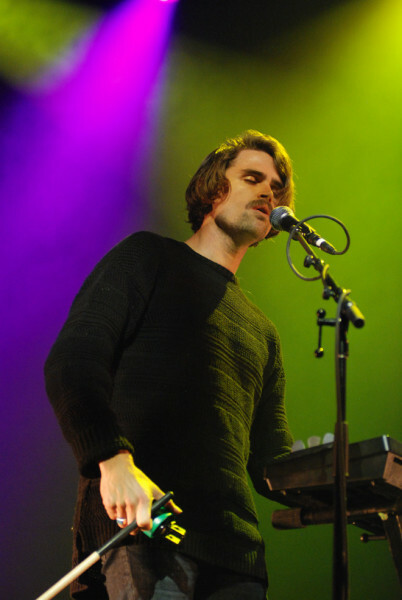 The San Francisco-based indie band helmed by lead singer Michael Deni filled the theater with layers of atmospheric, bittersweet and, at times, ethereal sounds. The concert, part of the Noise Pop festival, included 10 nights of music, arts and film at venues spread across the Bay Area. For over 20 years, Noise Pop has been known for supporting local acts and bringing emerging and established artists to the Bay. The line-up at the Fox on Friday night also included soulful and eclectic local Oakland band Bells Atlas, noir indie rockers Empires, and rapper and Stanford alumnus K.Flay (Kristine Flaherty ’07). 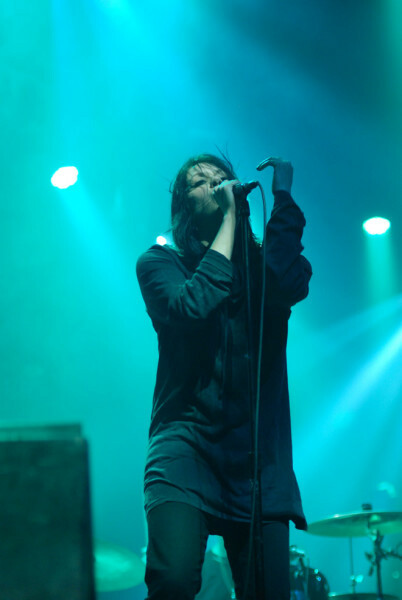 Alternating between singing and dropping verses, K.Flay’s breathy voice brought a seductive quality to her cool, electro songs like “Make Me Fade” off of her most recent album “Life as a Dog.” But a few songs like “Wishing It Was You” – with a chorus line “sucking on a bottle of Jim Beam wishing it was you” interspersed with serious lyrics about a break up – fell flat. The song was too ridiculous to be serious and not playful enough to be funny. With the bill full of local and up-and-coming acts, Geographer was definitely the highlight of the night. They spread out their biggest hits, “Kites,” “Verona” and “Paris,” throughout their set. They also played a fair number of songs off of their forthcoming album “Ghost Modern” (coming out March 24), including released lead singles “Need” and “I’m Ready.” “Need” hinted at a darker, sparser and more guitar-driven sound, while “I’m Ready” was more reminiscent of their earlier soaring, bittersweet and synth-infused music. Of the four touring band members on stage, all but the drummer played more than one instrument throughout the night. With electric and acoustic guitars, drums, tambourine, keyboard and even a saxophone getting their moments on stage, what tied all of the songs together was their signature inclusion of electric cello. The distinctive sound of the cello and Deni’s tendency to extend words into beautiful abstract sounds – perfectly connecting the lyrical and instrumental components of the music – were integral in creating the wistful, yearning quality of their sound. They finished the show with “Falling Apart” off of their forthcoming album. As I hadn’t had a chance to emotionally connect with the song yet, this felt like a letdown. 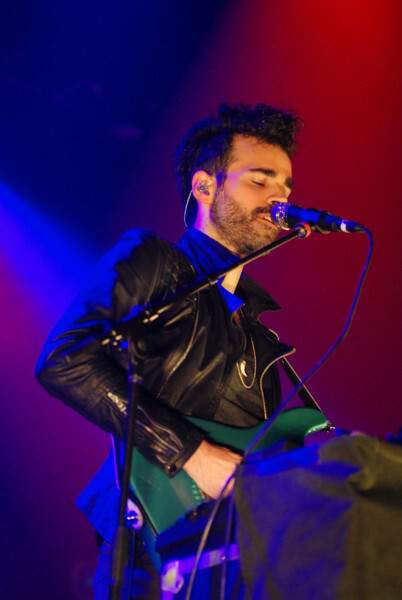 But the enthralling moments outnumbered the slow moments, and Geographer cemented its status as one of the best Bay area bands on the scene. Contact Gabriela Groth at gngroth ‘at’ stanford.edu. Gabriela Groth is the Arts & Life Photo Editor and Music Desk Editor for The Stanford Daily, and she enjoys reviewing and photographing live music events. She has covered Treasure Island Music Festival, Austin City Limits, FYF Fest, and BFD. Born and raised in Los Angeles, Gabriela is a film lover, music enthusiast, and television aficionado. She is pursuing a Master’s in Computer Science. To contact her, please email gngroth “at” stanford.edu.